Producing labels for chemicals and hazardous substances can be extremely technical and must comply with rigorous government regulations. Hibiscus Plc has a long history of keeping abreast of the latest requirements for chemical label legislation. See our Info page for specific labelling information. Hibiscus has many solutions in place to enable you to meet with the latest chemical label legislation. Our innovative, new GHS-ready label printing software (Label Enterprise and Label Standard), label blanks and printers enable you to print fully compliant labels quickly, efficiently and to BS5609 (3 month immersion in seawater) standard. We also produce a range of informative posters. Call us on 0113 203 1945 for details. Final GHS deadline – are you ready? The final GHS compliance deadline is 1st June 2017? By this date, all substances and mixtures, including those in the supply chain, must be classified and labelled according to the requirements of the CLP Regulation. All over the world there are different laws on how to identify the hazardous properties of chemicals (called ‘classification’) and how information about these hazards is then passed to users (through labels, and safety data sheets for workers). This can be confusing because the same chemical can have different classifications in different countries. The UN brought together experts from different countries to create the Globally Harmonised System of Classification and Labelling of Chemicals (GHS). The aim of GHS is to have the same criteria for classifying chemicals worldwide, according to their health, environmental and physical hazards and requirements for labelling and safety data sheets. The UN GHS is not a formal treaty, but instead is a non-legally binding international agreement. Therefore countries (or trading blocks) must create local or national legislation to implement GHS, CLP is the legal document that applies in Europe. CHIP was the law that applied to suppliers of dangerous substances and mixtures for many years and expired after their reclassification under CLP on 1st June 2015. The Regulations covering the transport of dangerous goods are very different from those covering Supply. However, with the implementation of CLP some of the differences will diminish. There are also separate arrangements for each of the four modes: Road, Rail, Air and Sea. These pages explore each in turn, looking at the situation in the UK and International transport. UK journeys by Road and Rail are covered by the CDG regulations (The Carriage of Dangerous Goods and Use of Transportable Pressure Equipment Regulations) and were substantially restructured in 2009 with direct referencing to ADR for the main duties. Amending regulations were made in 2011, mainly to reflect changes to the EU Transportable Pressure Equipment Directive. Emergency Action Code (Hazchem Codes) are published in the Dangerous Goods Emergency Action Code List. International journeys by road through Europe are covered by the ADR Regulations (Accord européen relatif au transport international des marchandises dangereuses par route) and RID (Regulations Concerning the International Transport of Dangerous Goods by Rail (European law)) for Rail. Air transport is covered by the ICAO (International Civil Aviation Organization) Technical Instructions for the Safe Transport of Dangerous Goods by Air. Those transporting dangerous goods by air should also check the IATA (International Air Transport Association) Dangerous Goods Regulations as these contain additional requirements to the ICAO technical Instructions. The transport of dangerous goods by sea is governed by the IMO (International Maritime Organization) International Maritime Dangerous Goods Code (IMDG). The UK Maritime and Coastguard Agency website also contains useful information about dangerous goods, including a summary of the main changes to the IMDG Code Amendments. A European regulation adopted to improve the protection of human health and the environment from the risks posed by chemicals; to make the people who place chemicals on the market responsible for understanding and managing the risks associated with their use. 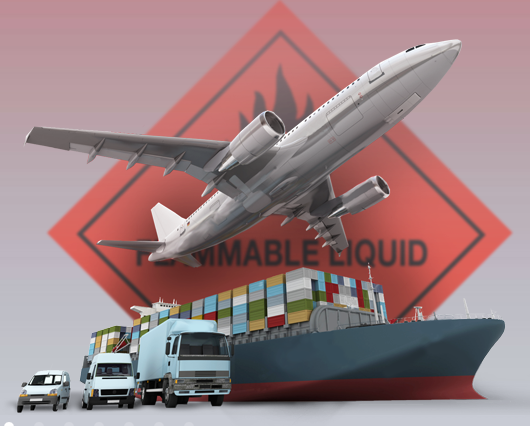 The Regulations on the supply and transport of dangerous goods are constantly changing.